Here you can see most of the people have been painted. 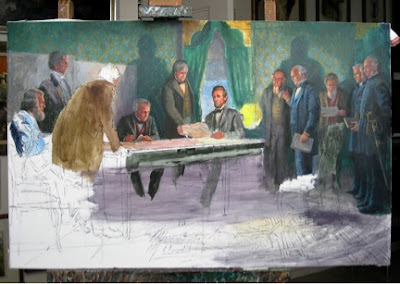 The focal point of the painting is Lincoln holding the Lieber Code. When comparing the photographs of the men to the actual painting, it is very easy to identify who is who.